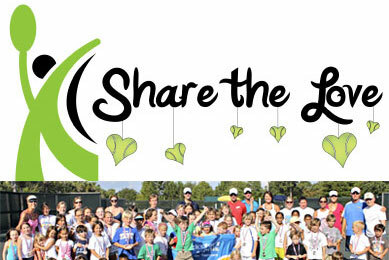 USTA Florida is casting a wide net in its search for the next Share the Love grant recipient. The Daytona-based organization has launched a month-long online video contest, allowing Florida residents who are 18 and over the chance to show how they would use a Share the Love grant to grown tennis in their communities. Winners will receive a one-year organizational membership (or renewal), valued up to $110; a $2,000 Share the Love grant to be used at a local facility; and a USTA Florida-hosted tennis festival later this year. The contest coincides with the launch of www.USTAShareTheLove.com, a microsite dedicated to USTA Florida’s grant initiative. The video contest can be accessed via the microsite, USTA Florida’s Facebook page, and www.USTAFlorida.com. "During the past two years, we have seen what an impact we can make on peoples’ lives by providing opportunities for children and adults to experience tennis," said USTA Florida Director of Community Tennis Linda Curtis. "We know there is a lot more we can do, and this contest is a fun way for Floridians to change their communities for the better. All it takes is a video camera and a couple of minutes." Video submissions must be two minutes or less and feature a tennis facility or location where the Share the Love grant will be applied. Submissions are welcome through 11:59 p.m. on Aug. 31, 2012. Voting will be open from Sept. 1, 2012, through Sept. 15, 2012. Winners will be announced on Sept. 17, 2012. For full details and official rules visit www.USTAFlorida.com or www.Facebook.com/USTAFlorida. Recreational tennis coaches as well as parents, teachers, camp or school staff who work with the age 10 and under population can get certified in the latest USTA 10 and Under Tennis methods when USTA Florida hosts a 10 and Under Tennis Workshop on Sept. 8, 2012, from 9 a.m. to 12:30 p.m. at North Florida Community College in Madison, Fla. The workshop will be held at the North Florida Community College Gym (Colin P. Kelly Fitness Center) on 325 NW Turner Davis Drive, Madison, Fla. The 3-1/2 hour interactive on-court workshops gives an overview of 10 and Under Tennis and the six variables that all programs should adhere to for success. Each participant receives a set of 10 and Under Tennis practice plans. For parents the workshop provides the perfect inroad to get involved and become a tennis volunteer with the 10 and Under Tennis play format in a USTA Jr. Team Tennis league, providing the perceived competence of being a tennis coach and learning the basics for working with small children of beginner and intermediate levels. 10 and Under Tennis allows smaller children to emulate adult play on smaller court sizes, with racquet sizes that fit their hands, foam and low-compression balls, a simple scoring system, all adjusted to ease kids into the sport. Similar mini-tennis formats have long been popular in Europe, where current stars such as Roger Federer and Kim Clijsters first learned the game with age-adjusted racquets, balls and court sizes. "10 and Under Tennis has recently been introduced to the Madison area, and attendance at the workshop will help ensure that tennis is made fun for children," said USTA Florida Tennis Program Coordinator for the Panhandle area George English. "Tennis is the sport for a lifetime, and we are very excited about the opportunities for children in Madison to add tennis to the number of sports that they play while growing up." For additional information or questions contact George English at english@florida.usta.com or (850) 510-6585. To learn more about 10 and Under Tennis, please visit www.10andundertennis.com. Madison Hunt, better known as Maddy to her family, is a bubbly, seven-year-old girl who has recently fallen in love with tennis. According to her mom, Melissa, Maddy is an avid competitor and has participated in other sports such as coach-pitch ball. But her recent exposure to a tennis clinic while at Lighthouse Family Retreat instigated a love for the sport that gets still the young girl excited. Maddy's tennis clinic experience was no ordinary one. Not only is she a strong and energetic girl, but Maddy is also battling childhood cancer. Diagnosed with leukemia at only four years old, Maddy has since been on a fight to "kick leukemia's booty." Earlier this summer, she, Melissa, her father Jay and her little sister Karsyn took a family trip sponsored by Lighthouse Family Retreat, an organization that serves children with cancer and their families at a seaside retreat. "Childhood cancer impacts everyone in the family, so we give families like the Hunts the opportunity to be a family again and spend time in a carefree environment without the focus being centered on childhood cancer," said Chris Woodruff, executive director of Lighthouse Family Retreat. "We make sure to provide activities like date nights for parents, dance parties and, in Maddy's case, tennis clinics, to give fun and worry-free moments to a family who is already battling so much." Lighthouse Family Retreat teams up with community partners for many of these activities and events. 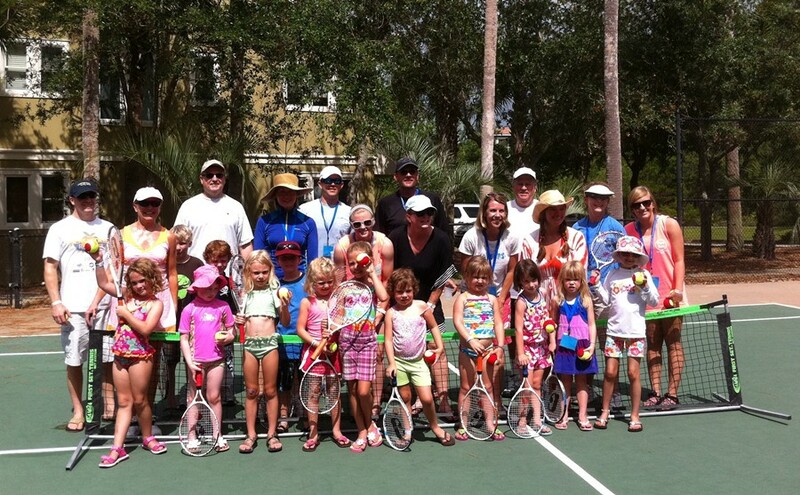 Several local tennis enthusiasts recently hosted the tennis clinic, with Rosemary Beach Racquet Club and George English of USTA Florida providing the equipment. "Lighthouse Family Retreat has been a special mission for our local church the past few years, and we thought tennis might be a new fun activity for the children," said Anne Williams, one of the local volunteers who served retreat families with the tennis clinic. 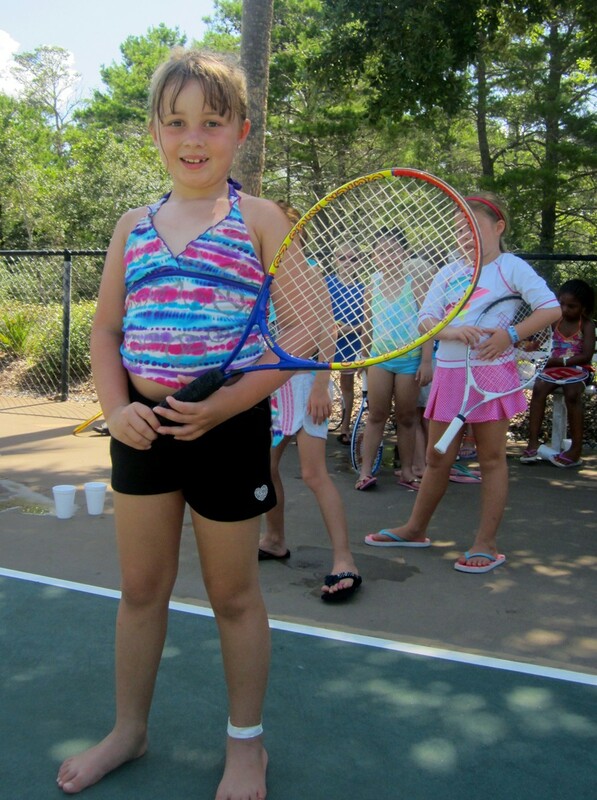 "The USTA 10 and Under Tennis program allows children to be successful quickly with special balls, racquets and nets. The children have had a blast but we are the ones who are truly blessed and rewarded by their smiles and laughter." Many families will leave Lighthouse Family Retreat with newfound appreciation for the activities and sports that they participated in during their time at the beach. In particular, Melissa believes that her family will keep up with tennis when they return home. "Maddy is already giving us [her family members] tennis tips," Melissa said. "We anticipate many rackets and tennis balls in our family's future." To learn more about Lighthouse Family Retreat and how to participate or volunteer to serve families living through childhood cancer, please visit www.lighthousefamilyretreat.org. 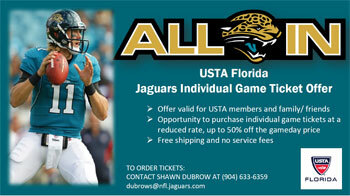 USTA Florida members and family/friends can this season purchase Jacksonville Jaguars individual game tickets at a reduced rate, up to 50% off the game day price. USTA Florida members and family/friends will also receive free shipping and no service fees on tickets. In 2012 the Jacksonville Jaguars will host the New York Giants (Aug. 10), the Atlanta Falcons (Aug. 30), the Houston Texans (Sept. 16), the Cincinnati Bengals (Sept. 30), the Chicago Bears (Oct. 7), the Detroit Lions (Nov. 4), the Indianapolis Colts (Nov. 8), the Tennessee Titans (Nov. 25), the New York Jets (Dec. 9), and the New England Patriots (Dec. 23). To order tickets contact Shawn Dubrow at (904) 633-6359 or dubrows@nfl.jaguars.com. The Mexican Davis Cup team will play a special exhibition against many of Vero Beach's top male players to benefit community tennis programs offered to children served by Big Brothers Big Sisters, Youth Guidance, the Boys and Girls Clubs, the Redlands Christian Migrant Association and the Indian River Tennis Foundation. The event will be held at the Vero Beach Tennis Club in Vero Beach, Fla., on Saturday, Sept. 8 at 10:30 a.m.
"I'm trying so hard to introduce many of the children of migrant workers and at-risk children, disadvantaged children, etc., to the game of tennis," says event chairman David Walley. "We have many volunteer mentors working with the children but now, for those who primarily speak Spanish, this event can be an opportunity for them to meet top players who speak their language." Invited to play for Mexico are: Cesar Ramirez, Santiago Gonzalez, Bruno Rodriguez, Miguel Gallardo, Daniel Garza, Miguel Reyes Varela, Luis Patino, and Luis Diaz Barriga. The captain of the Davis Cup team is Jorge Losado, who won two mixed doubles championships at Roland Garros. The coach of the Davis Cup Team is Marco Osorio. Osorio and Losado are two of the new owners of the Vero Beach Tennis Club, formerly known as Timber Ridge. The referee for the exhibition will be Roscoe Tanner, director of tennis at the Vero Beach Tennis Club. Honorary chairmen for the special event are Ivan Lendl, a Vero Beach resident, and Mardy Fish, also from Vero Beach. Among players for Vero Beach will be Mark Morein, Bob Graves, Robert Kowalczyk, Ray McNulty, Kriegler Brink, and Dale Sorensen, Jr. The South African Brink is also known as the sparring partner of Lendl. Tickets to attend the exhibition are $25 per person and may be reserved by calling (772) 569-7700. Rain date for the exhibition will be Sunday, Sept. 9 at 10:30 a.m. For additional info contact David Walley at (772) 234-5901. Hillsborough County’s biggest charity women tennis tournament is back, this year celebrating its 5th tournament anniversary. The 5th Annual Hillsborough County Tennis Association/Facing Our Risk of Cancer Empowered (Force) Ladies Tennis Tournament is set for Friday through Sunday, Oct. 19-21, 2012, this year with an added singles division. Tournament matches will start Friday evening, continuing through Sunday. Proceeds from the women’s multi-level singles and doubles tournament will go to Facing Our Risk of Cancer Empowered (FORCE), supporting breast and ovarian cancer research and treatment. A portion of the proceeds will go to HCTA Scholarship and their Inner City Community Base Tennis Programs. "In the last four years, with help from area clubs, over 150 wonderful women tennis players, and our many sponsors, raised more than $50,000 to fight breast and ovarian cancer," says Tournament Director Marisol Casablanca. "Every year we aim to do even better, and this year we will be adding singles to the tournament with limited space." Play will be in 3.0, 3.5, 4.0 and 4.5 + levels. Singles players need to be available Friday night, Saturday and Sunday day. Tampa Tennis HCC (South Tampa) and Hunter’s Green (North Tampa) Golf & Country Club will also host a Saturday luncheon. Entries are limited; to register and for more tournament information visit the HCTA online at www.tampatennis.org.